I think this is HUGE news so I want to share it. For the most part, I hate it when things I grew up with change. I can still barely accept Elmo as a regular on the Sesame Street. 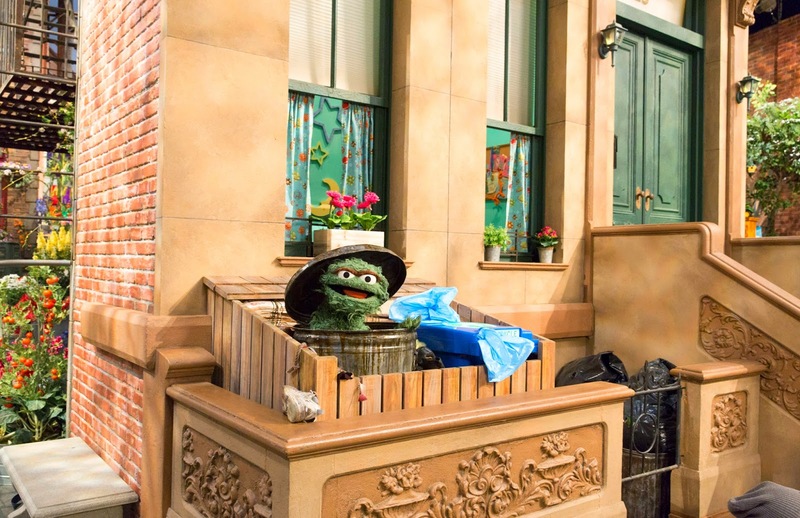 Sesame Street is going through a set redesign for Fall of 2015. They are in their 46th season. The show is only 4 years older than me. 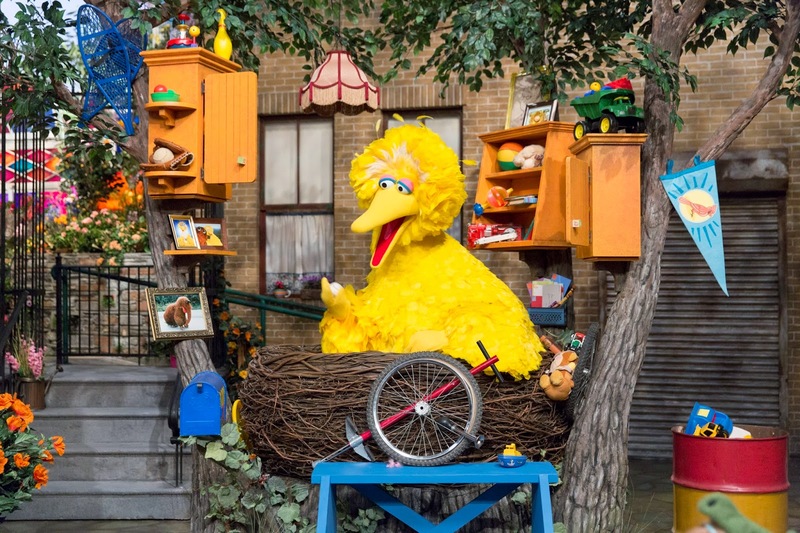 I wouldn't mind if they never changed the set because I'm nostalgic like that but it does make sense that Big Bird's nest should be in a tree. They said they want Sesame Street to represent a street in real life. I'm OK with that. Look at these big changes. 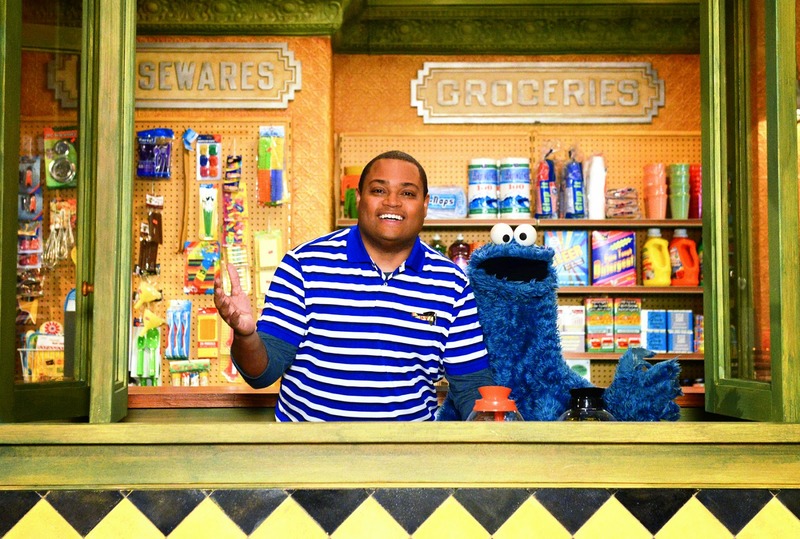 Cookie monster will be living above Hoopers store. I love this. The smells will come wafting up and drive him crazy all day. Hilarity ensues! 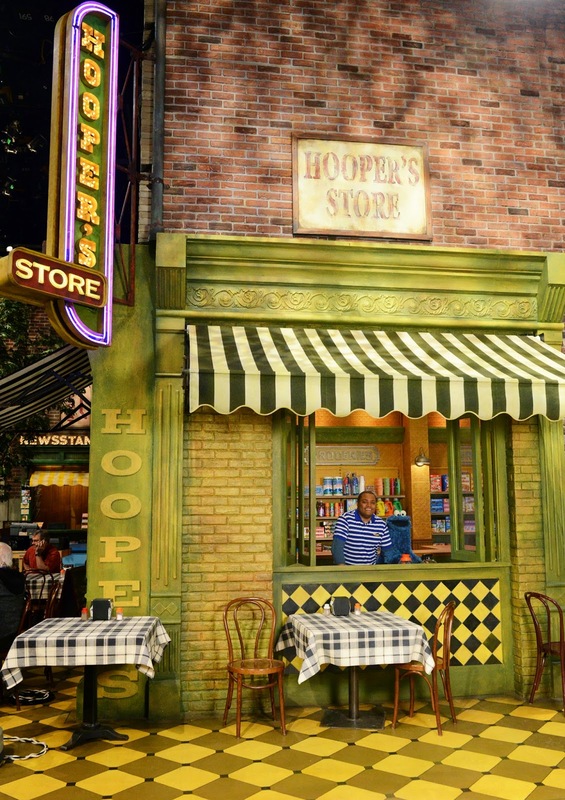 Hooper's new store front. I still miss Mr. Hooper. Who is this new guy, "Chris"? Is he a Hooper descendant? Oscar's can has been updated and moved to a more central location so he can add grouchy commentary to any situation. He’ll also be popping up in trash cans, recycling bins and composting receptacles. I wonder how he feels about recycling? Generally he's against anything that's a "good" thing and he would hate the reduction of waste, but if he can live in a recycling bin too then maybe he'll be OK with it. I'm dying to find out. Here's a quick glimpse of Big Bird's vintage nest and one of my favorite, most mesmerizing videos from Sesame Street. I loved it so much. Do you remember it? That is the weirdest song/video but I think I could get into it. I just discovered that Rhoda loves big bird which is pretty awesome and means I watch a lot of old YouTube videos these days. I can't get my kids to watch sesame but my childhood is chock full of memories of eating my lunch on a blanket in front of the tv. I particularly loved when the grsoefruit sang opera music. I forgot that I remembered this until about 15 seconds in...thanks for the nostalgia! Ha! I'm glad you remembered.